Correcting the line of the jaw can improve your ability to chew and speak, it may become easier to breathe and it can improve the overall appearance of your face. The jaw reconstruction process is often undertaken in conjunction with orthodontic treatment to ensure the teeth are in the right position so that when the jaws are moved the teeth are straight and fit together. 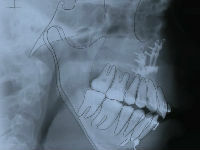 If jaw surgery is combined with orthodontic treatment it may take months or even years to complete. During surgery, it is possible to move both the upper and lower jaws in a single procedure, but often surgery is required on one jaw. Single jaw surgery will typically take around 2 to 3 hours to perform. Orthognathic surgery is performed in hospital under a general anaesthetic. For 4-6 weeks after surgery you will be on a restricted diet of soft foods only. You will have stitches but these will in most cases be dissolving and will gradually dissolve away over three to four weeks. You will need to rinse your mouth at least 4 times per day with warm salt water and any mouthwash we prescribe. Brushing your teeth will be difficult for the first week or so after surgery but you can attempt some gentle brushing if you are able to.